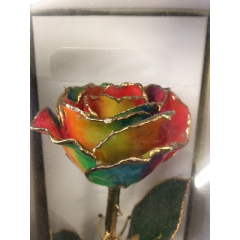 Golden Rose - Everlasting Real Rose! 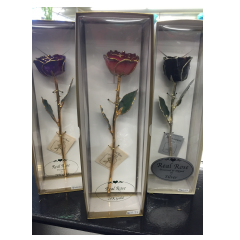 Our everlasting roses are REAL preserved roses trimmed in 24K gold! 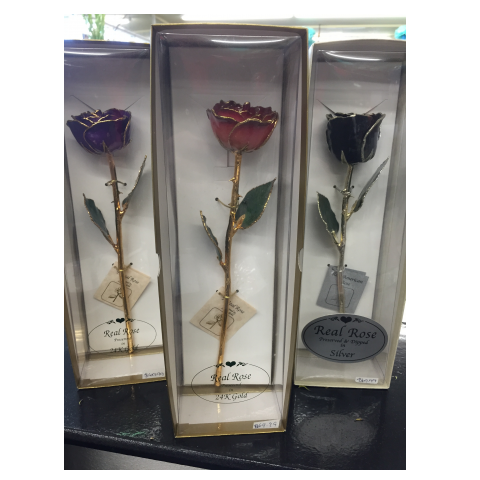 These beautiful roses will last for years. 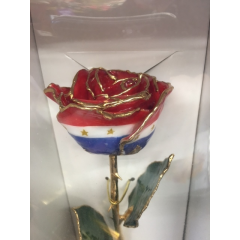 Available in a variety of colors and styles, call your Fremont Flowers sales rep for today full selection of colors, which include red, blue, patriotic (red, white and blue) yellow, pink, black, green....and others. Not all colors are shown....call shop for complete selection.